Khartoum, Sudan | AFP | Sudanese authorities have released a senior opposition leader who had been detained since December in connection with demonstrations against President Omar al-Bashir’s rule, his party said on Tuesday. Omar el-Digeir, the chief of the opposition Sudanese Congress Party, was arrested and jailed days after protests erupted on December 19 after a government decision to triple the price of bread. “The chief of our party, Omar el-Digeir has been released after two months in detention,” the Sudanese Congress Party said in a statement, without specifying when he was set free. 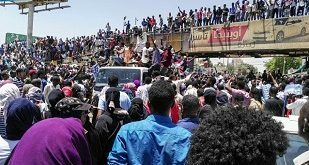 “But 40 other party leaders are still in detention,” it said, vowing to pursue protests against Bashir. On Tuesday, Digeir vowed to push on with protests against Bashir’s rule. “We assure our people that our party is fully committed to continue with the peaceful struggle until we achieve success,” he wrote on Twitter. 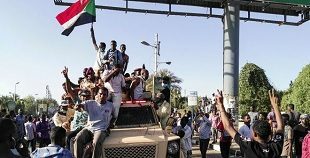 Over the past decade, the Sudanese Congress Party has emerged as an active opposition group, regularly staging demonstrations and rallies against the authorities. He also dissolved the federal and provincial governments, and appointed 16 army officers and two security officers from the feared National Intelligence and Security Service as governors of the country’s 18 provinces. Protesters accuse Bashir’s administration of mismanaging the country’s economy and have called on the 75-year-old president to step down. 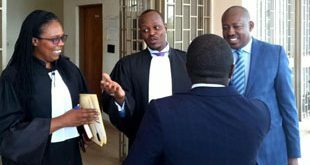 Eight demonstrators were sentenced to jail — in the first such rulings by emergency courts — with four handed five-year prison terms each, the official SUNA news agency said. 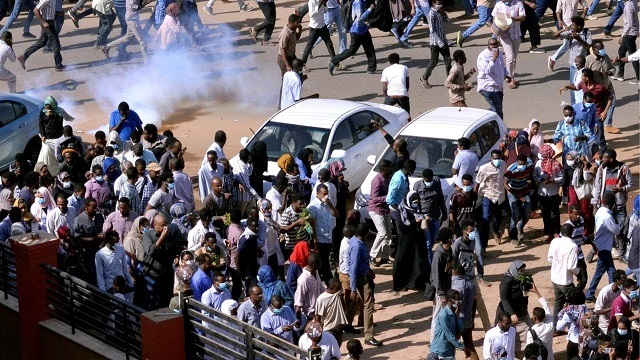 The protests that have rocked Sudan since December were led by the Sudanese Professionals’ Association, a group of unions of teachers, doctors and engineers.